Ford Motor Company's Conservation & Environmental Grants programme has become an annual event in the Middle East and was recently expanded to cover North Africa. Since its inception in 2000, the Ford Grants has supported 194 projects with $1.49 million granted to date. Over the past 15 years, Ford’s green initiative has seen support and praise from various governmental and non-governmental environmental authorities including the World Wide Fund for Nature, the Emirates Wildlife Society, the Arab Forum for Environment & Development (AFED), and the United Nations Educational, Scientific and Cultural Organization (UNESCO Doha). In 2015, the programme was extended to cover North Africa including Egypt, Algeria, Tunisia and Morocco. The Ford Grants support ongoing and non-profit projects focused on Conservation Engineering, Protection of the Natural Environment and Environmental Education. For 2016, a total of US$120,000 is available for deserving initiatives. Past projects that have benefited from the Ford Grants include whale and dolphin research projects in Oman, saving coral reefs in the UAE and Kuwait, growing environmental clubs in schools all around the region, cleaning up beaches in Jordan, cleaning up rivers in Lebanon, protecting mangroves in Saudi Arabia, saving Arabian Leopards in the mountains of Oman, irrigation system for Algeria, water conservation awareness in Morocco, use of industrial plants to fight soil pollution in Tunisia, conservation of endangered tree species in Egypt, and many more. Entries are accepted from ongoing and not-for-profit projects from the following countries only: Algeria, Bahrain, Egypt, Iraq, Jordan, Kuwait, Lebanon, Morocco, Oman, Qatar, Saudi Arabia, Tunisia, United Arab Emirates and Yemen. Projects that are still in the planning or proposal stages cannot be considered. 1.4. Previous Ford Motor Company Conservation & Environmental Grants winners may reapply for funding provided they have submitted a completion report of their previously awarded project to their local juror as well as Ford Middle East. Failure to do so will lead to disqualification from entry. 1.5. This programme accepts entries from all types of not-­‐for-­‐profit conservation initiatives that are currently being implemented or ongoing and need additional funding support. Projects that are still in the planning stages and proposals will not be considered. 1.6. Applicants can be: Individuals, Civil Society Organisations/NGO’s, Schools, Colleges or Universities. 1.7. Projects that are currently being executed in the following countries can apply for grants: Algeria, Bahrain, Egypt, Iraq, Jordan, Kuwait, Lebanon, Morocco, Oman, Qatar, Saudi Arabia, Tunisia, United Arab Emirates, and Yemen. 1.9. This programme is administered by Ford International Business Development, Inc. (“Administrator”), a wholly owned subsidiary of Ford Motor Company. Protection of the Natural Environment -­‐ Projects to conserve flora, fauna and/or their respective habitats. Conservation Engineering -­‐ Projects to reduce the rate of consumption of natural resources and/or pollution. Environmental Education -­‐ Projects aimed at creating or increasing environmental awareness. 3.1. Applications will be received until September 11, 2016, 09:00PM UAE local time. 3.2. Applications received after this date and time will not be considered. 4.1. 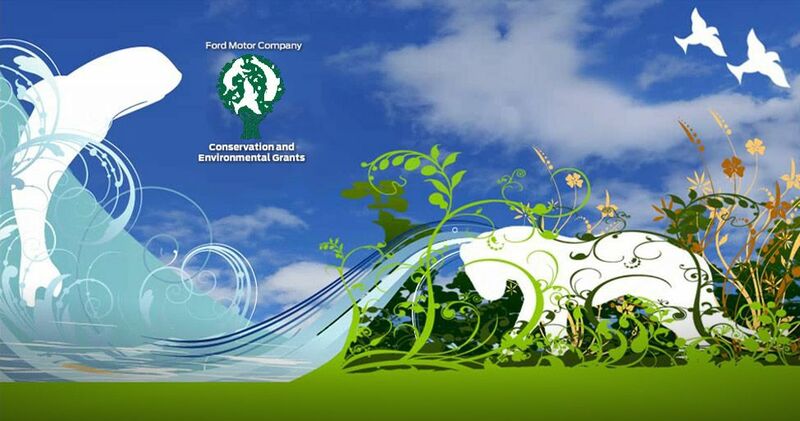 Application to the Ford Motor Company Conservation & Environmental Grants can only be made online through the www.me.ford.com website. Projects sent through different channels will not be accepted. 4.2. Applicants must complete and submit entry application with all the mandatory information (photos, videos, and personal information required). By submitting the application, the applicant grants Ford Motor Company and Administrator a nonexclusive worldwide, royalty-­‐ free license to use, copy, display publically, distribute, modify and alter any materials, including without limitation photo material, submitted in connection with the application / programme (to the extent not assigned to Ford hereunder), with the right to sublicense and assign the foregoing rights. Applicant hereby represents that they own all rights to materials, including without limitation photo / video material, submitted in connection with the application/ Programme/competition. 4.4. Programme Team reserves the right to contact Applicants to ask additional questions and/or conduct phone interviews to gather additional information about Applicants. Such phone interviews are not required and are at Programme Team’s sole discretion to assist in gathering information for Participant selection. 4.5. Programme Team is not responsible for applications not received. Due to the high volume of anticipated applications, Programme Team will not be able to answer any questions about the receipt or status of any application. Programme Team assumes no responsibility and is not liable for any video / photo misuse. Programme Team assumes no responsibility for any incorrect, inaccurate or incomplete information, whether caused by website users or by any of the equipment or programing associated with or utilized in the Programme, and Programme Team assumes no responsibility for technical, hardware or software failure of any kind, for lost network connections, garbled computer transmissions, other problems or technical malfunctions with regard to the competition. 4.6. Subject to applicable law, Programme Team reserves the right to cancel, terminate, modify these rules or administration of /or suspend this event in whole or in part without prior notice with no obligation or liability, including if for any reason the event is not capable of running as planned, whether due to technical failure, or computer virus, tampering, fraud, or corruption of security or proper administration of the event or other causes beyond the control of the Programme Team. 4.7. By submitting an application, each Applicant agrees to release, discharge and hold the Programme Team from all claims and damages arising out of or in connection with participation in the application process or the Programme itself, and to have Applicant’s name, voice and likeness used at Programme Team’s discretion as part of the Programme, or as part of promotions arising out of or in connection with the Programme, in any and all media now known or hereafter devised as further set forth in the release and waiver at the end of the application. 5.1. For 2016, a total of US$120,000 is available to be shared among the winning projects. 5.2. For 2016, the maximum cap for the requested grant amount is set at $15,000. Large scale projects that require bigger funding may not be considered. 5.3. The Grant amount may only be taken as declared and announced by the jury panel, and cannot be amended or negotiated. 6.1. All applications will be judged by a jury panel of conservation experts who are not related in any way to Ford Motor Company or Administrator. 6.2. The Jury panel will select winners from any of the categories in accordance with the following judging criteria: Usefulness and Practicality, Dedication, Originality, Replicability. 6.3. The jury meeting would take place in September 2016. Winners will be announced in November 2016. Winners will be contacted in writing and by phone. 6.4. The judges’ decision is final. 6.5. If a winner is unable to be contacted after reasonable attempts have been made to do so, Grant money may be offered to the next best entry. 7.1. Participant in the Programme will not be entitled to any compensation or employee benefits of any kind from any company, and agrees to refrain from seeking same.